Don’t miss out our great deals! Booking all day long will entitled a promo price, so hurry up as our room are limited! 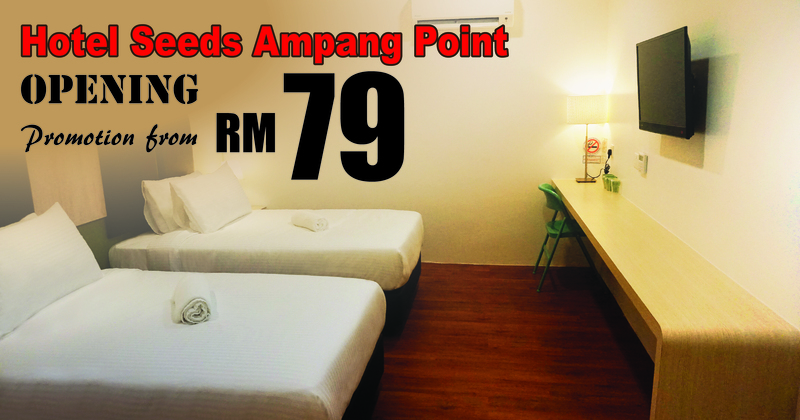 Our promotion rate starts from RM79! Each room features air conditioning, a flat-screen TV and a private bathroom with shower facilities. At Seeds Hotel you will find a 24-hour front desk to attend to your needs. Kindly enter the coupon code seeds123 to entitled RM10/per night discount!